I was upstairs in the attic last night searching for a lost box of crafting materials, when I came across a box of light bases that were at one time, miniature decorative table lamps. The glassware that was originally attached to them had broken. I had forgotten I had kept these items. I am sure at the time, I was thinking I may be able to utilize them in the future in some way. and then I thought to myself, the future is now! One in particular caught my eye. It was a black, metal, pedestal light base that utilized a night-light bulb. 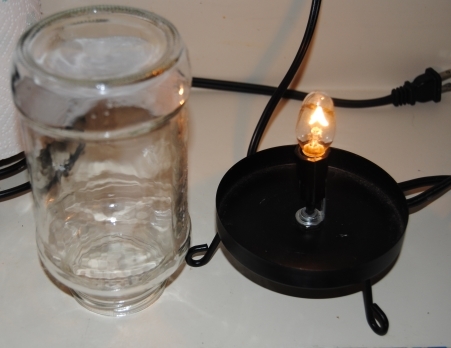 My initial idea was to utilize a glass jar to replace the broken glass. but several different glass items could be modified to use for this project. Ball jars, glass vases from the dollar store etc. I just happened to have an old Spaghetti sauce jar in the recycle bin. I happily removed it cleaning it with hot soapy water. I placed it in a bucket of hot water to remove the jar label. I had some great fabric left over from Ugly Accent Table Makeover. If you are looking for something more colorful you can try holding different fabrics up to the light. That way, you can tell what the finished lamp will look like when the light illuminates it. I took the fabric, and wrapped it around the glass jar so I knew how much fabric I would need. I measured and cut and placed aside. 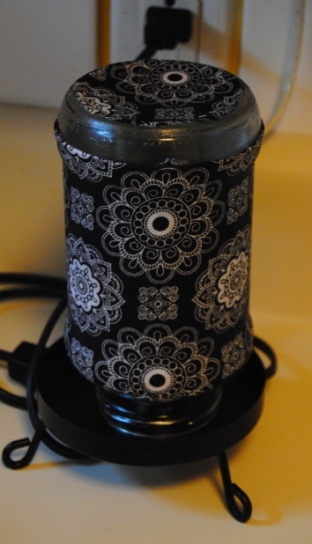 I wanted to also add fabric to the “bottom” of the jar, which would be the “top” of the lamp. I traced the jar onto the back of the fabric and carefully cut it out with scissors. I cut inside the tracing to factor in the edges of the glass, so the fabric would not hang over. I then applied Mod Podge with a foam craft brush to the glass. I applied and smoothed out the fabric, adhering it to the glass. I applied another coat of Mod Podge over the top of the fabric. In this case I applied a total of two coats allowing to dry throughly in between. I couldn’t be more happy with the result! 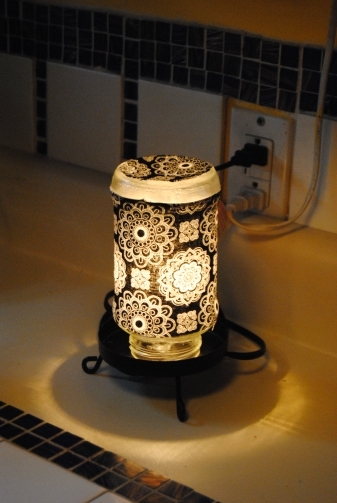 A true upcycle and a great decorative lamp for a fraction of the cost! Love the idea! Will def need to reuse one of my jars like that! Saw this was your favorite post over at Pillows-a-la-Mode and the name “spaghetti jar lamp” just drew me in… I had to check it out. Really different and really beautiful! 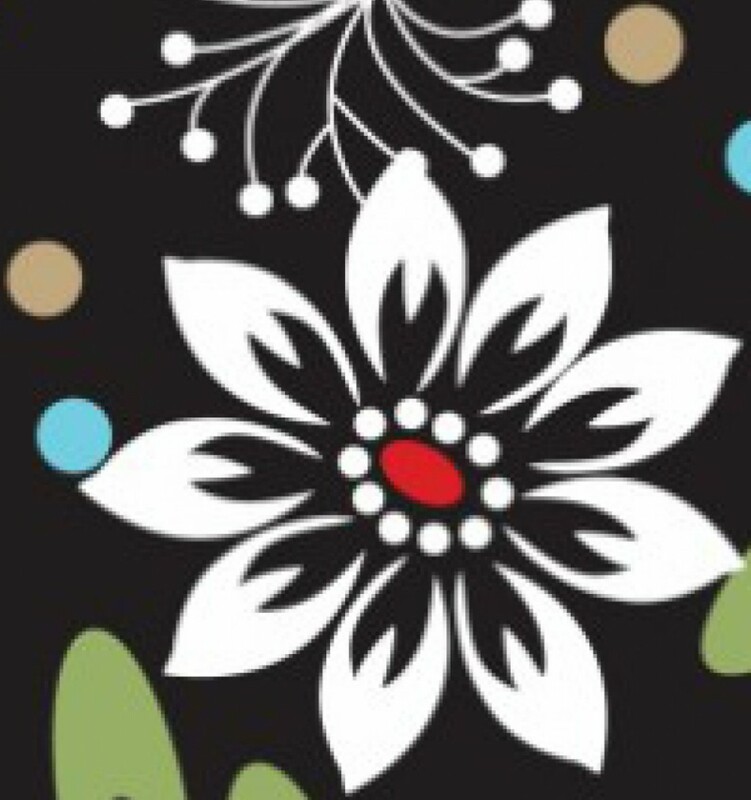 Wow, that’s really pretty! I’m trying to figure out what to do with empty Mexican Coca Cola bottles, ICB root beer and baby jars. You don’t have to worry about the glass getting too hot and breaking? No issues with heat with a night light bulb which is what I use to illuminate them. thanks for stopping by! The decorative lamps break and you are left with the light base. I had a few lying around and bought a few at thrift stores like Goodwill. Good luck!